If you enjoy good wine, visiting Kitzke Cellars is a must. 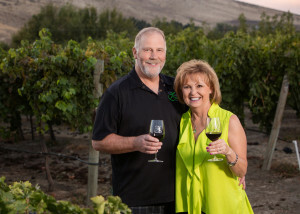 Agriculture takes the Kitzke family back to the 1970s, and over the years they have gradually transformed their orchards into vineyards. The winery produces small, handpicked lots that allows the winemaking team to select only quality fruit — the results are in the bottle. Visit and enjoy the Viognier and Cabernet Franc. Other wines to enjoy include cabernet sauvignon, Monte Caramelle blend, Sangiovese, Nebbiolo, and Rosé of Nebbiolo.